Trendspotting at book fairs, on the move identifying exotic holiday spots, building teddy bears, drawing comics. We met 11 people who redefine a ‘job’. They’re not risk-taking entrepreneurs, and they haven’t jumped out of the rat race. They have bosses and a fair amount of stress to deal with, but they probably don’t have to beat the Monday morning blues to get to work. Because, well, their jobs are cool. He travels the country, planning all those trips you’ll pay good money for. “We need to have product knowledge, we can’t sell ourselves without knowing our trips thoroughly, and the only way to do that is by putting the itinerary down myself," Rao says. Rao, 34, knows no other profession, starting at a travel company right after school. He switched to the Delhi-based Eco Adventures six years ago and has not looked back once. His job requires him to search out the unusual on tried and true tourist spots. So, on a trip to Leh, for example, he watched as the tourists flocked to monastery tours, moving between the buildings by car. “I thought to myself, everybody’s going by road. So, I took a raft and put it in the river. And it’s a whole different angle." When he decided he wanted the tour to stop for a picnic, he searched out the perfect spot with the help of a local tour guide. He says if you want to know a place outside the tourist experience, you have to turn to local families. When he’s on a reconnaissance mission, he’ll travel by local buses, visit roadside stands, and ingratiate himself with as many locals as possible. 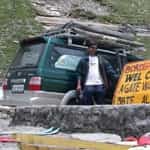 The actual travel tours can last from a week to 18 days, and takes Rao about a month to plan. He gets to design everything down to the smallest detail. So, if he finds a roadside juice stand in Kerala he particularly likes, he’ll send the tour there after a bike ride through the back villages. Rao plans to keep exploring as long as there are places to explore, especially places he has no knowledge about—all the more exciting to discover that way. He spots trends in the publishing world, reads and buys books. He’s happy to turn into a bookworm for his job: trendspotting in the global publishing world, visiting book fairs (“The recent Frankfurt Book Fair opened my eyes to the books young adults are reading all over the world," he says), Net-surfing about authors and reading the best new books. Madhu took a 70% cut in his salary to join Landmark in 2003. In the bargain, he’s following his passion of reading—and doing anything related to books—as well as using what he learnt at IIM. “The coolest thing about my job, I think, is that it’s a market where the buyer knows more than the seller. You’re not dealing with dumb consumers. So, it’s very challenging to shape their tastes," he says. His job profile allows him to spend time at the bookstore, talking to customers, as well as spending time researching alone. But the most challenging part of it is to introduce readers to new genres and authors—one such high came early in his career when he spotted the potential of Mark Haddon’s The Curious Incident of the Dog in the Night-timeand brought it to the store: “It was a hit among young readers. And the success of that book helped us look at patterns of reading behaviour of young Indians in metros." Many of Madhu’s former colleagues and classmates are now hardboiled executives; both amusement and envy propel them to often ask him, “Dude, how do you make money just by reading books?" She travels the world getting pampered at the world’s best spas. Anand has spent more than 11 years in journalism, first as an input editor and anchor for live news shows. Seven years later, she moved to entertainment production. Her Spectacular Spas show started in early 2006, and in the past year, she’s been to 12 spas, some in India, others in Italy, Germany and Switzerland. “Many people are looking for a break that’s not been widely documented and one which can give them a holistic high," she says. Anand and her crew spend at least three days in each location, showcasing the property, getting the speciality treatments and talking to other guests. But if Anand is to be believed, it’s incredibly stressful spending three days in a super luxe spa. One of the big hurdles is getting spa goers to talk to her on camera. “At most spas, we can’t interview or approach guests without their prior permission," she says. “I think I’m the only person who goes to a spa and comes out stressed," Anand laughs. The only time she got an off-the-job spa holiday was a gift from a friend. “I didn’t have a very good time. I was constantly thinking of camera angles, and comparing the therapist’s technique with the various other places I’ve been to," she laughs. Her favourite, though, has been the Fonteverde Natural Spa in Tuscany. “The spa is based in the oldest natural hot springs in the country. But more than that, it was the people that made the place what it was," Anand says. Almeida’s a game tester for Indiagames, a Mumbai-based game development company, which acquires licences for characters such as the Scorpion King and Phantom, and creates games around them. After getting a degree in engineering, Almeida joined a BPO, till his game-developer friends remembered his knack for finding bugs in their college projects. “They told me to quit my job and come here to test the games they create," he says. And that’s just what he’s been doing for the past three years. On busy days, the 28-year-old spends 12 to 15 hours a day playing games. After the game has been created, Almeida’s job is to give inputs to creatively enhance the game and find any problems or bugs it may have. “It’s quite difficult to actually finalize the product. I’m always praying I don’t miss something," he laughs. His biggest challenge was the game his company created, based on the 1999 blockbuster film, The Mummy .“That one really made me think. I had to do a 24-hour shift to test that game once," he says. Almeida’s happy that he works in a brightly painted office with an easygoing “college canteen environment". When the team’s working on a big job, they don’t mind living out of the office for a week. His colleagues are a crowd of young professionals, the oldest being 31 years old. So far, Indiagames’ top tester has had no eye problems, loves racing games and still Need for Speed. She builds teddy bears and gives them a voice and a heart. Bhat helps customers through the eight-pronged process that is bear building. The first step is to pick out the ‘skin’ of the animal you want. Then you have to stuff it, give it a voice, a heart, a name and a security tag, before fluffing, dressing and packing it up to be sent home. It’s probably tougher than it sounds; to keep a smile in place all day for hyperactive kids isn’t everyone’s idea of a perfect world, but Bhat says she loves every minute. “I enjoy working at the Dress Me counter. That’s where the animals really get their personality," she says. Besides kids, Bhat also has to deal with parents and grandparents discovering their inner child. “We had a grandfather come in to create bears for his grandkids, who ended up making one for himself," she laughs. He designs and builds colourful latex toys for toddlers. The hunch worked. 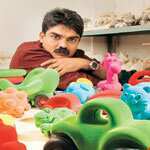 Kumar’s toys, sold under the brand Rubbabu, are flawlessly sculpted. Little round-edged cars for toddlers to fling about, small furry animals and pretty soft balls—all uniquely made of natural latex. Rubbabu is manufactured under an export licence and sells widely in Europe. Kumar was not really interested in getting into where the big money and numbers were: the plastic toy industry, where human skills matter little beyond the first computer sketch. He rarely banks on 3D sketches to see him through a design. For him, his toys are an extension of his sculpture. “I use my hands mostly to sketch and then create clay moulds, no computers for me," says Kumar, who works with a team of 50 others and entrepreneur Rahul Butalia at his unit in Gurgaon. “For me, a sculpture and toy are both about the feel of material. Neither is a mechanical process." Kumar acquired a degree in fine arts from Vadodara which, he says, was more than useful in helping him through the process. 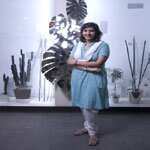 The National Institute of Design at Ahmedabad offers a degree in toy design, but the emphasis there is on using indigenous and traditional material such as wood. “There is a huge market abroad for toys made of biodegradable rubber. In India, there are few who are picky about what material the toy is built with," says Kumar. He picks and trains the unit hands because the toys are almost completely handcrafted. She’s got canine companions all through the day. Sathe’s always been an animal lover and started her chosen career by volunteering with an NGO, In Defence of Animals. After a training stint in the US and the UK, she’s been working with dogs for four years now. Her grooming gig at Tailwaggers started six months ago, because she wanted to do more hands-on work with dogs. “I get to know a whole different side of the animals when I’m grooming them," she says. Her duties include bathing the animals, giving them medicated treatments for skin problems and a haircut. “The focus is the comfort of the dogs; it’s not just about making them look or smell good," she says. And in all her training experience with difficult dogs, Sathe has come to one conclusion. “There’s never a problem with the dogs, it’s always the owner," she laughs. 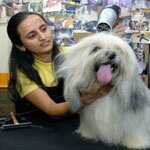 Sathe’s favourite candidates for a haircut at the salon are Lhasas. “They have so much hair, so there’s a lot more you can do with them," she says. After a long day of being splashed by mastiffs, covered with soap by frisky golden retrievers and scratched by Poms, she goes home happy, to spend time with her Labrador, Jazz. “He spends 15 minutes sniffing at me. Then he insists I play with him, no matter how tired I am," she says. Creates that steel table you’ll be drooling over in two months. Singh chose to work with Davis to learn his creative process and says that they work in close collaboration, altering furniture, suggesting updates for accessories and modifying shapes. She’s been working on Davis’ My Lazy Garden, helping add agave plants to the line of steel sculptures of plants. She’s also working on a new line of nature-inspired furniture products that should be put into production this month. As a new designer, she sought out Davis, not because he’s well known in the design world, but because she knew she would be able to learn the best from him. “Everything I’ve learned, I’ve learned in theory, here I learn it tactically. I go to the factory, I create the prototypes; I learn the whole creative process." Davis, known for his interior projects, such as the homes of fashion designers Shantanu and Nikhil, also has a broad range of playful, sleek products at his Delhi-based indie store. Singh splits her time between the studio, on the top floor of the store, their Okhla factory, and locations of different clients’ homes. “Design is a huge struggle. It’s tedious and strenuous; you push yourself to the limit. Then, when you get to the end and have the actual product, it’s a complete delight." He traipses around Mumbai, scouting for locations for film shoots. He freelances for most production houses and specializes in finding locations for various shoots. He’s scouted for locations for movies such as Bluffmaster and ads such as Maruti Zen’s ‘little boxes’, and Nokia. “My job is to hunt—from crowded markets, isolated beaches and slums to railway tracks and buildings with rooftop gardens. I have a long list," he says. 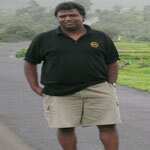 His database has more than 2,000 locations in and around Mumbai. Outstation locales such as Lonavala and Amby Valley are a favourite with producers, he says. Fernandes also arranges for the multiple permits it takes to shoot in Mumbai, from the municipal commission’s clearance, police and traffic permits and permission from the Port Trust for beach shoots. “And for ad films, the deadline is always yesterday, so it can get a little stressful," he says. But he can’t see himself doing something else. “Mumbai never fails to surprise me. There’s always a corner you haven’t explored, always a cute house in the middle of a crazy market." Foreign crews drive him crazy. “They always want to shoot in places others avoid, such as Crawford Market or Chor Bazaar. I always tell them, if you go into Chor Bazar with your camera, it’s likely you’ll come out without it," he laughs. Bangalore became the creative base of the Marvel-Virgin-Gotham conglomerate two years ago, and it gave Kang his dream break after six years of studying architecture at the TVB School of Habitat Studies in Delhi and a few months working resentfully as an architect. “I’ve been a comics fanatic since I was a child and I think that had something to do with me wanting to do architecture because both involved sketching. 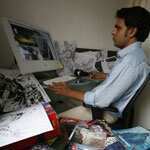 There were no opportunities for comic artists in India then," Kang says. But the best part about his job: No bosses breathing down his neck about working hours or how to go about his job. Once the brief is thrashed out with the writer (Gotham Chopra, in the case of Ramayana Reloded, he pretty much takes over and works on his own at hours when his creative juices flow. “It’s fine as long as I meet my long-term deadlines—it can never be more than one comic a month," he says, over a late-night telephone conversation from his Bangalore office. The other achievement in his four-year-old career as a comics artist is the artwork for Seven Brothers, a series written by the film director, John Woo. And how does Kang visualize his Rama and Ravana? “Edgy, energetic and contemporary," he says. Somewhat like his job. 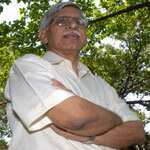 He knows the scientific names of more than 1,000 trees. Apart from knowing about trees, he says the people he takes in his tours like to test him on scientific names of trees. “While I rattle off all the scientific names, they are also entertained." In Mumbai, his most preferred spots are the Jijamata Udyan in Byculla and the BPT Gardens in Colaba. A must in his syllabus: a tree’s mythical and literary connotations and its medicinal value. During the first 10 years at the BNHS, he travelled all over India—from the Valley of Flowers and other Himalayan terrains to the south and the east, taking notes and collecting samples. A number of young people come to him to learn his job, but Chaturvedi says he’s yet to find someone who has the passion and perseverance to make it a lifelong pursuit. “I didn’t want to be a professor, so I chose to be this. Now there are many options for young people in this field," he says.